There is a simple rule of thumb you can use to determine how much student loan debt you can afford to repay after graduation. If your total student loan debt at graduation, including capitalized interest, is less than your annual starting salary, you can afford to repay your student loans in ten years or less. The rule of thumb is based on two assumptions. One is that 10 years is a reasonable amount of time for repaying student loans. The other is that it is reasonable to expect borrowers to spend half of the increase in average after-tax income from a college degree on repaying their student loans. This corresponds to having monthly loan payments that are about 10% of gross monthly income. That is the equivalent to the rule of thumb that total student loan debt should be less than your annual starting salary. A key takeaway is that you should keep your student loan debt in sync with income after graduation. Student debt may be good debt, because it is an investment in your future, but too much of a good thing can hurt you. Next, multiply your first year student loan debt by 4 or 5, depending on how long you think it will take you to graduate. Hint: If you are taking only 12 credits a semester, you may not be able to graduate in four years. You should aim to take at least 15 credits a semester to graduate on time. If you defer repaying your student loans while you are in school, interest will continue to accrue and will increase the loan balance at graduation by about one fifth. Check whether your college practices front-loading of grants, where the mix of grants vs. loans is more favorable for freshmen. Compare the average grant for freshmen and all undergraduate students using CollegeNavigator.gov. If there is a difference, that, plus the annual increases in college costs, will have an impact on your debt at graduation. Then compare your estimate of the student loan debt at graduation with your likely annual starting salary. If total debt is less than annual income, you should be able to afford to repay your student loans in a reasonable amount of time. What if Student Debt Exceeds Annual Income? If total debt exceeds annual income, you will struggle to repay your student loans in ten years. About one in six Bachelor’s degree recipients graduates with excessive debt1. Students who graduate with excessive student loan debt will need to use an alternate repayment plan, such as extended repayment or income-driven repayment, to afford the monthly payments. But, these repayment plans reduce the monthly payment by stretching out the repayment term to 20, 25 or even 30 years. Not only will that increase the total interest you pay over the life of the loan, but it also means that you could still be repaying your own student loans when your children enroll in college. Students who graduate with too much debt tend to delay major life-cycle events, such as buying a car, getting married, buying a house, having children and saving for retirement. Make sure to keep track of your student loan debt, including the monthly payment you will owe. According to a College Ave Student Loans survey, about 1 in 3 seniors (35%) were unsure how much they would owe on their monthly student loan bill upon graduation. Knowing your monthly student loan bill will help you budget and keep your expenses and expectations in line. What about Parent Loan Borrowers? A similar rule of thumb applies to parents. Parents should borrow no more for all their children in total than their annual adjusted gross income. If total parent debt is less than annual income, the parents should be able to afford to repay the parent loans in ten years or less. If retirement is less than ten years away, however, they should borrow less. For example, if retirement is only 5 years in the future, the parents should borrow half as much because they have half as much time to repay the debt. 1 Mark Kantrowitz, Who Graduates with Excessive Student Loan Debt?, StudentAidPolicy.com, December 14, 2015. 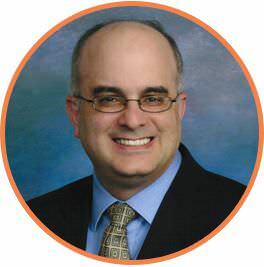 Mark Kantrowitz, Publisher of PrivateStudentLoans.guru, is one of the nation’s leading experts on student financial aid. He is the author of several books about paying for college, including Filing the FAFSA, Twisdoms about Paying for College, and Secrets to Winning a Scholarship, and has served as publisher of the FinAid, Fastweb, Edvisors and Cappex web sites.